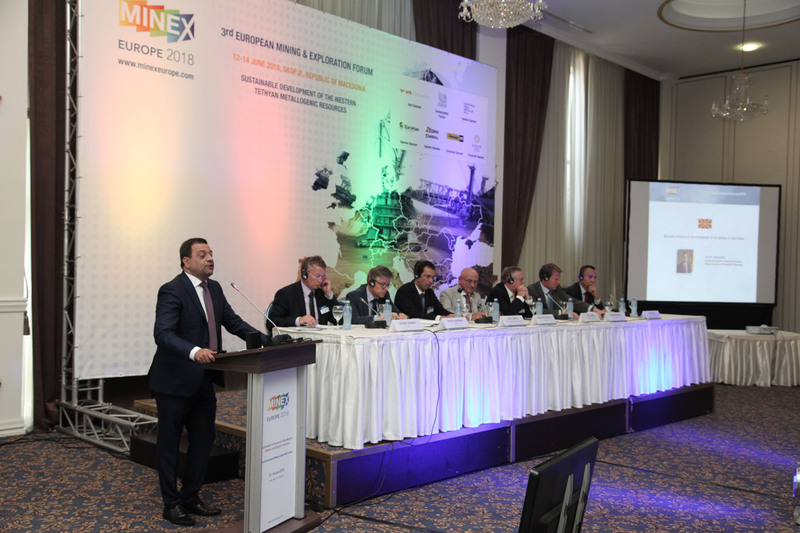 The 3rd MINEX Europe Mining & Exploration Forum was held in Skopje, the Republic of Macedonia, on 12-14 June 2018 under the theme “Sustainable development of the Western Tethyan metallogenic resources”. From high-grade development projects to high-tech operating mines, the Western Tethys region is fast emerging as one of the world’s mining hotspots. Endowed with copper, gold, lithium, cobalt, nickel, borates, potash, rare earth metals and uranium, the region offers commercial opportunities for development of traditionally unrecognised deposit types and new districts. Low costs, developed infrastructure, skilled local workforces as well as emerging changes in the government policies (in some countries) aimed at encouraging foreign investment, highlight the Western Tethys as an emerging and highly attractive area for international miners and investors. 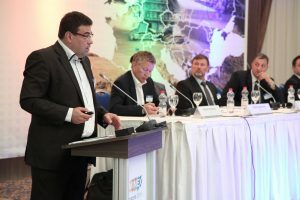 The Forum provided insights into mining projects developed across the Central, Eastern and Southern Europe and highlighted innovation trends for exploration and extraction, processing, waste management, and mine closure. 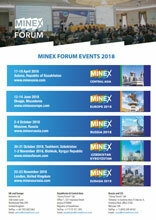 The Forum brought together over 200 delegates from 27 countries representing mining and technical projects, European and Global mine operators, Practitioners from consulting companies, Equipment suppliers, Representatives from research institutions and Government agencies, National geological surveys, Banks, NGOs, Media, as well as Academic scholars and Researchers. 47 speakers and panelists presented at the plenary and technical sessions of the Forum. The Forum began with the keynote addresses on behalf of the Government of the Republic of Macedonia and Trade Delegations from the United Kingdom and Canada. Macedonian Deputy Prime Minister for Economic Affairs Kocho Angjushev called for the necessity of better cooperation between the government, local population and mining companies. Mr. Angjushev emphasised that mining concessionaires and central authorities should explain to the population the environmental-friendly technologies and techniques used in this sector. “I am convinced that together we will surpass the negative feeling that occurs among the local population when mentioning the word mining. We should especially explain to them that there is no damage to the agricultural products,” underlined Angjushev. 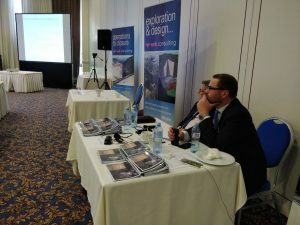 Charles Garett, British Ambassador to the Republic of Macedonia noticed that while the implications of the UK referendum of leaving the EU are still being worked through, Britain and the UK companies are open for business and ready to explore opportunities in Macedonia just as they do worldwide. 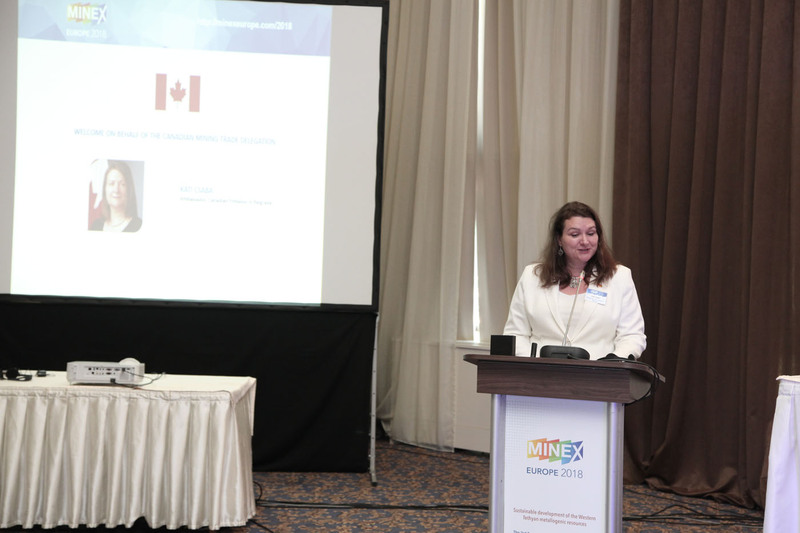 Kati Csaba, Canadian Ambassador to Serbia, Montenegro, and Macedonia spoke about Canada’s approach to mining and its implications to the region. She highlighted Canada’s worldwide leadership in advanced mining and innovative approaches for mine development which support jobs and high living standards. 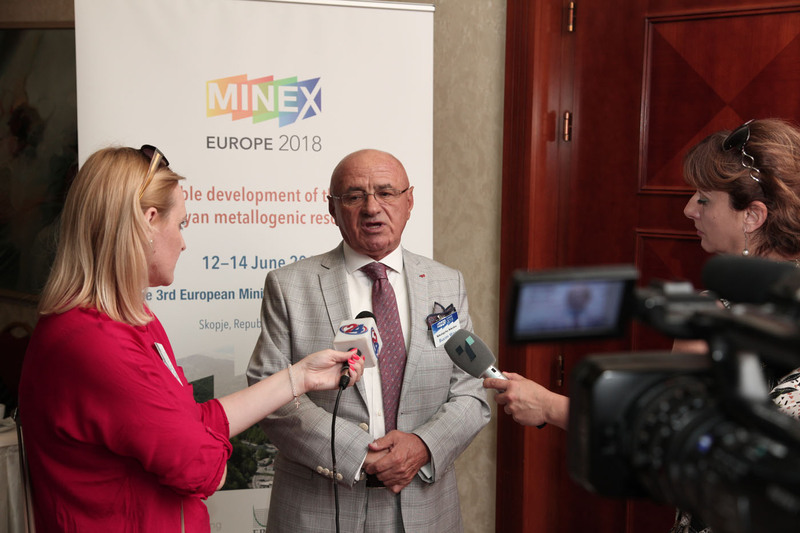 President of the Mining Association Nikolajcho Nikolov declared that the mining industry in Macedonia is in a difficult situation due to lack of sufficient harmony between the government, local population and mining companies. 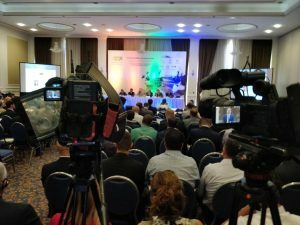 Over the next two days, the Forum offered local and international companies a platform for presenting world-class mining and exploration projects developed across the Balkans Region and Europe. Mining engineers, universities mining companies, and NGOs presented cutting-edge exploration and processing technologies. 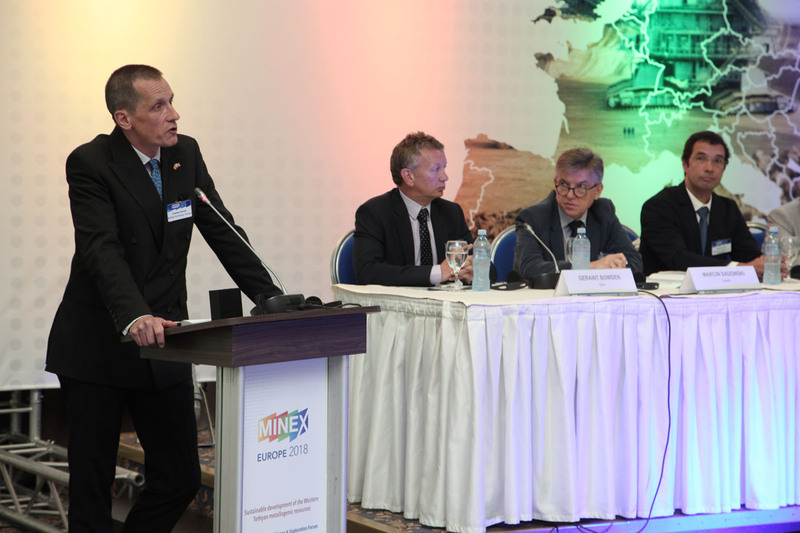 Investors and Financiers discussed alternative financing opportunities for Eastern European mining operations. International consultants and mining companies showcased studies of advanced environmental and SLO management practices. Panel discussion on the “The role of Mining in the sustainable development of mineral resources in the Circular Economy” became one of the highlights of the Forum. Workshop “Mine Waste Management in Europe for the 21st Century- Best Available Techniques and Lessons Learnt” organised by SRK Consulting (UK) at the end of the Forum provided review of the current EU requirements/initiatives related to mineral waste management and Best Available Techniques (BAT) related to safe operation of mine waste facilities. Mining Trade and Investment Exhibition held alongside the Forum offered opportunities to both international and domestic companies to demonstrate their products, services, and projects to the highly sophisticated target audience. 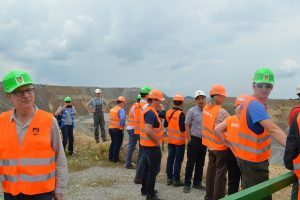 The survey organised alongside the Forum provided a snap-shot of the issues, concerns, and expectations of further mining development in Central and Eastern Europe. 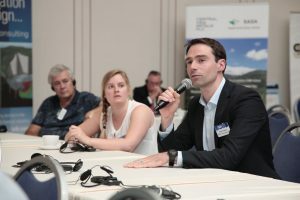 The Forum offered a wide variety of networking activities making this a prime European mining event for building new relationships, meeting old acquaintances and nurturing existing connections. 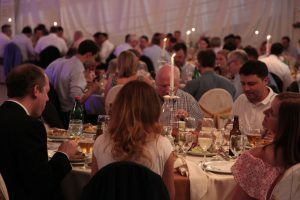 Gala dinner, post-workshop drinks, and reception at the British Ambassador’s residence offered opportunities for meeting organisations on the forefront of developing mining policies, innovative mining technologies and exciting mining projects in Central, Eastern and Southern Europe. Visit of the open-pit mining, flotation, and leaching units at the Buchim Mine (owned by Solway Group) concluded the Forum on 14 June. We express sincere gratitude to the international and local companies and organisations for their support.